Here's your chance to own one of only 4 coveted 'Treehouses' at Walnut Creek! 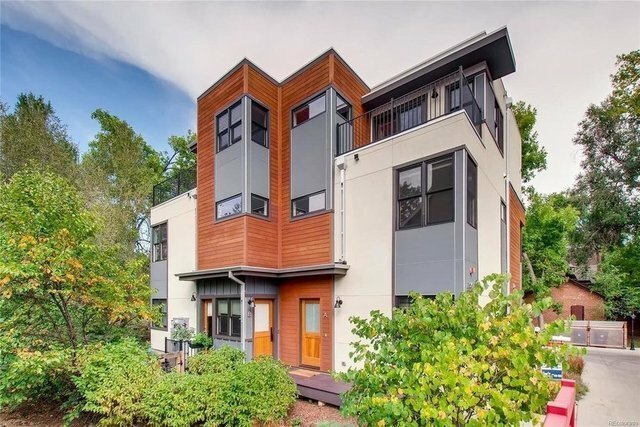 Tucked in the back across a private bridge & fronts the Boulder White Rock Ditch, this hidden gem is just blocks from Pearl Street & offers striking architectural & contemporary design. The 3-story floor plan offers a sleek & modern interior, comfortable indoor/outdoor living spaces & high-end finishes. Top floor master suite w/5-PC bath & West facing balcony w/Views. 1-car attached garage & 1-designated parking space!